The CT (Crazy Tuff) Glo Challenger is reminiscent of the Cam Todd Challengers released previously as a fundraiser for the former Discraft sponsored player. 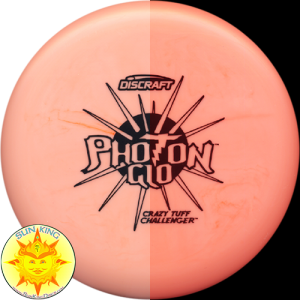 The CT material is much more firm than traditional Pro D plastic yet retains a velvety soft touch. This years run of discs vary in color and are released for the 2016 Ledgestone Insurance Open.